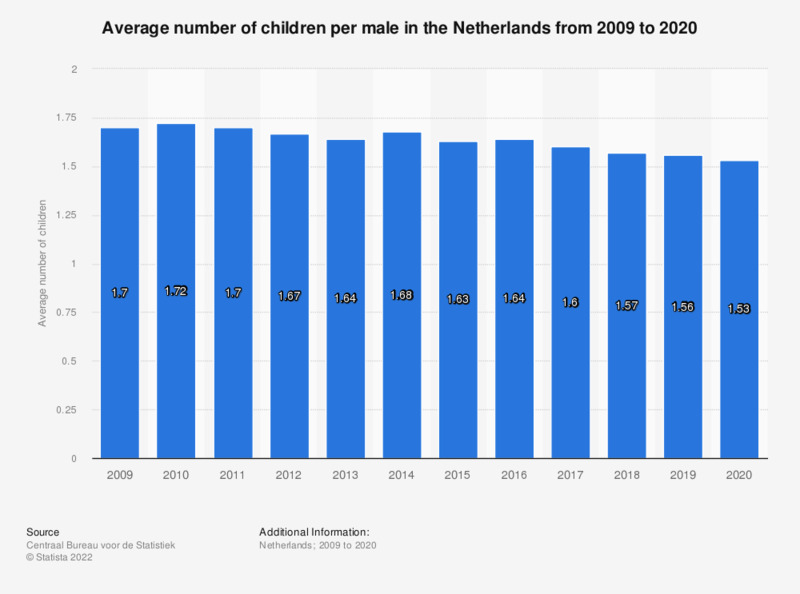 This statistic displays the average number of children per male in the Netherlands from 2007 to 2017. It shows that the average number of children per male between 2007 and 2017 saw little overall change; from 1.62 per male in 2007 to 1.60 in 2017. The average number of children a man would have if the age-specific fertility rates in a given year were to apply throughout his lifetime.